Director of Ally since August 2018. Ms. Shineman served as the Chief Executive Officer of Vistaprint from February 2017 through February 2019. Vistaprint is a subsidiary of Cimpress N.V. that provides printing and digital marketing services for more than 17 million micro businesses globally. Prior to this, she served in a number of roles at Vistaprint dating back to 2004, including Chief Customer Officer, Executive Vice President for Global Marketing, and President. Prior to joining Vistaprint, Ms. Shineman was a director and senior manager at PreVision Marketing, a boutique analytic and marketing agency focused on developing strategic segmentations, customer metrics, and loyalty programs for retail clients. 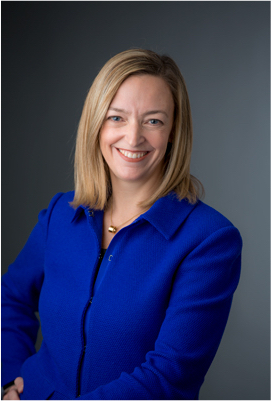 Ms. Shineman currently serves on the public-company board of TripAdvisor, Inc. and is a member of the Massachusetts Technology Leadership Council board of trustees, a leading regional technology association that drives growth and innovation by connecting tech leaders, investors, academics, and policymakers. She holds a bachelor’s degree in psychology from Cornell University and a master’s degree in business administration from Columbia Business School.